Consumable electrodes in welding parlance are those that are directly melted by the arc and are consumed during the welding process, becoming part of the weld bead. Consumable electrodes are generally made of whatever filler metal is required for the material being welded, and, depending on the process and other requirements, may have flux in them as well. The tungsten in TIG welding is considered non-consumable because it’s not melting into the weld puddle to become part of the weld. Thanks for the answer! My question probably seemed rhetorical to most but I was actually curious. The tungsten is consumed in the sense you need to replace it in the course of welding (the tip of the electrode needs to be re-ground occasionally, and especially if it is accidentally dipped into the weld pool). But it is not “consumed” like the filler rod is… The tungsten does not purposefully become part of the weld. It’s sort of like how your car slowly consumes break pads vs actually consumes gasoline to do it’s job. That’s a really good analogy, thank you! 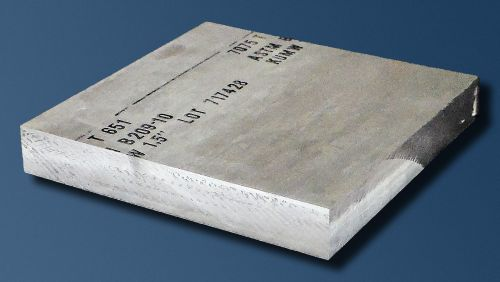 Aluminum alloys have known properties. How does adding titanium carbide change the properties, and can they still call it 7075 anymore? A hardened aluminum (7075-T6) will have to be re-hardened after welding. Well the vast majority of the part would still be 7075.. You’d just have to evaluate the weld area separately. 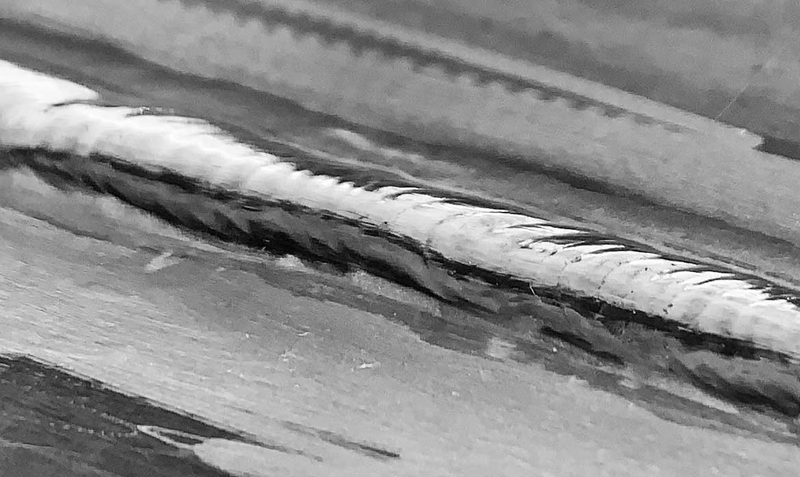 This is similar to 316L stainless filler wire used for TIG welding 316 stainless, the wire has extra alloying elements (the “L”) to prevent cracking in and around the weld as it cools. The welded joint is till considered to be 316 stainless. Actually the L is for low carbon (so a lack of an element). But you are correct that it is for preventing cracking. More interesting example is you use 308 or 308L to weld 304 because the alloy make up of 308 dilutes while welding to be a closer match to 304. Yusssss. Love a good wikipedia rabbit hole. Magnetic pulse welding is also super cool. I constantly marvel at how we progress in all areas of applied science. I also REALLY like the discovery’s backstory. So where is this one’s backstory? Did they just try “countless” combinations? How about the ratios of those combinations? Did they predict the physics/chemistry of these bonds before they tried them, like the offline construction of many modern organic compounds? Was it serendipitous, like Goodyear and vulcanized rubber, or the discovery of penicillin? Looks like the wiki has some details and a reference in Japanese that would be interesting to read translated (unless you know how to read Japanese). Nice, pretty soon they’ll be able to weld jello to a cloud. a Phineas and Ferb episode mentioned going 20 years into the future to get one. Some epoxy compound can make a quite strong bonds, between metals and woods. You don’t have access to Woodcraft Electrodes yet? Rockler probably has those, but they’re horribly expensive. Wasn’t there some Canadian guy that claimed he discovered how to fuse dissimilar materials by trying to recreate the Philadelphia Experiment? They called it the Hutchison Effect or something like that. FWIW you can weld dissimilar metals through solid state diffusion welding, explosive welding, or a thin interface of a metal that’s compatible with each. SSDW is the coolest, though: machine them flat, press them together, heat them up well below the melting point, and hold until enough stuff has diffused to make a solid weld. Art metalsmiths do this with layering silver and titanium and get a bond good enough to cold-forge. 392 megapascals vs 430 MPa (on the low end) is 91% of the parent material strength for this alloy & temper, that’s more useful! Hardness is not the same as tensile strength, although the two can be related and usually are. For example, ceramics are hard, but take very little tension to break. 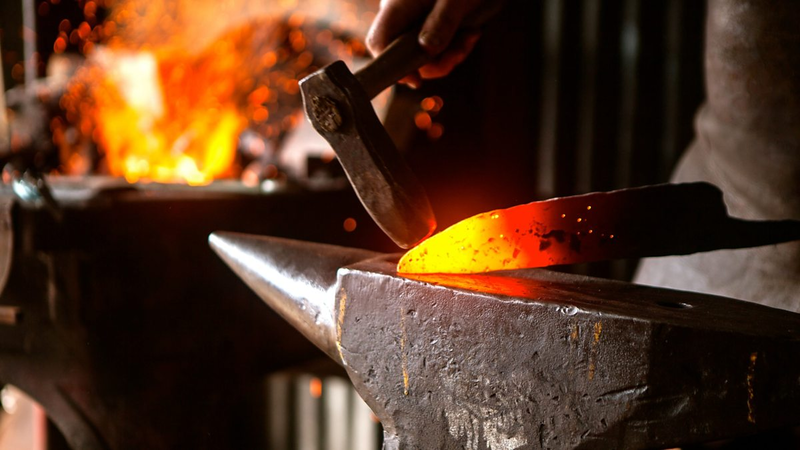 And that’s what makes the article so difficult to understand, because hardness goes hand-in-hand with the tendency to crack, so it isn’t good that the weld bead is harder than the parent metal – it means the joint will break at the seam, as it does in the other examples. This is a common problem. Engineers and materials scientists use terms with specific meanings. Things like strength, hardness, toughness etc are not vague terms to an engineer. Most people use them interchangeably though. Just to put the figures into perspective, 500MPa ultimate tensile strength is what you can expect from structural steel that bridges or armatures of buildings are made of on a good day. This might not soud so awesome, as there are steels that will do 3x that, but the 7075 alloy comes in at only 36% of it’s weight! Though for bridges and buildings, the aluminum still has a much lower Young’s modulus (it stretches under load), and greater thermal expansion, making it difficult to engineer with. A bridge made of aluminum the same you’d make a bridge of steel, would sag and collapse. The weight advantage is lost in having to use larger cross-sections to prevent that. The bigger problem with building an aluminum bridge would be the fatigue life. Bridges see a lot of cyclical load from wind and cars/trains traveling over them, and they are designed for long lifespans (25+ years). Aluminums have no fatigue limit. Although 7075 probably would be good for a military bridging vehicle, where the weight is at a premium, cost is a secondary concern and there is a strict replacement schedule. Interesting read. Just a comment though; comparing the strength of a material to that of the pressure in the Mariana doesn’t make much sense because a hydrostatic stress state doesn’t contribute at all to yielding. Actually, any metal or alloy can easily withstand 100000 times the pressure in the Mariana. Now this is an interesting Improvement. If it’s good enough for roll cages, it’s probably good enough for your purposes. They even have MIG brazing wire if oxy-fuel torches aren’t your thing. The same sort of silicon-bronze filler wire can be use to braze dissimilar metals (except maybe aluminium, due to the melting point of the filler) using TIG, the main difference to fusion welding is a much greater arc-length to spread the heating effect so that the wire will bond properly. Umm where is brazing good enough for rollcages? There are some joints in a tube frame race car that you braze. Typically, in a formula car chassis (like the one I have hanging from the ceiling in my garage that I’ll get to Some Day) the joints behind the driver are brazed to that they will break, tearing the engine/rear suspension off before tearing the main roll hoop (immediately behind the driver) off. This leaves a ‘safety tub’ that the driver is restrained in. I stand corrected. I read that in an old welding book but it seems nearly all race governing bodies require TIG these days. The move to TIG seems to be more about quality control than strength. A perfect braze or smaw/MIG weld can hold better than some base materials but you get incompetant people doing bad joins killing themselves on your track, so they switched to TIG recently to weed out the crappy metal workers. To the point brazing can hold over 100kpsi under the right circumstances. Even the low end using cheap filler & base metal gets you 45-50kpsi, plenty for most projects. Additionally since there’s less heat, you get less deformation & change to the base materials crystal structure. CMT, which is an improved GMAW process patented by Fronius, is able to weld dissimilar metals, like alu to steel. How do you avoid vaporizing the zinc out of 7075 at welding temperatures? I wonder if “nano particles” are going to be the asbestos of this century. Wonderful wonder material that finds it’s place everywhere for a few decades and then is found tout to cause lung problems and cancer. So long as it is a chemical compound I think it will be ok. This is the kind of tech that gets us closer to a space elevator as it has been known that carbon nanotubes have the strongest tensile strength. There are non-chemical compounds? Are you trying to say synthetics are safer than naturally occuring materials? Cause that’s not the case. To be fair, the issue with asbestos is that its material sheds lots of small, sharpsharp part, which are so tiny they can damage cells and led to cancer and bad things. So while I don’t think they are nano-particles (which implies nanometer scale bits, these might simply be microscopic) the issue is in part, size related. Nano-particles simply refer to compounds or substances whose particles are ‘nanoscale’ which could loosely refer to anything below a micrometer (millionth of a meter). I’m sure there are more precise definitions :) But it’s really only half the equation, since the chemicals these particles are made of matter just as much. Plastic particulates in air and water. Guess we’ll find out how safe with a world-wide experiment going on. Can 7075 be friction stir welded? It seemed an odd analogy to me too – two lumps of aluminium welded together and dropped in the ocean can withstand a lot of pressure, but so could a brick, it’s telling me nothing useful. Do we mean “when made into a tank and pressurised” somehow, yet with no indication of material thickness? Do we mean “pulled apart with a force of…” in which case the bottom of the ocean doesn’t really exert any pull. Plus, everyone knows the real measure is how many libraries of congress it can withstand. Just understand that journalists have zero understanding of material science and it’s easier to just learn the terms and read the paper yourself. Metals have very little yield dependence on hydrostatic stress (unlike polymers), so you are indeed correct it tells us nothing useful doing a tensile test in the Mariana Trench. So where can we buy this filler rod?!? The human body would be fine at the bottom of the Mariana Trench if you evacuated all the air out of it. That leads to other unpleasant side effects however. I think you mean to speak of a pressure vessel of some sort.